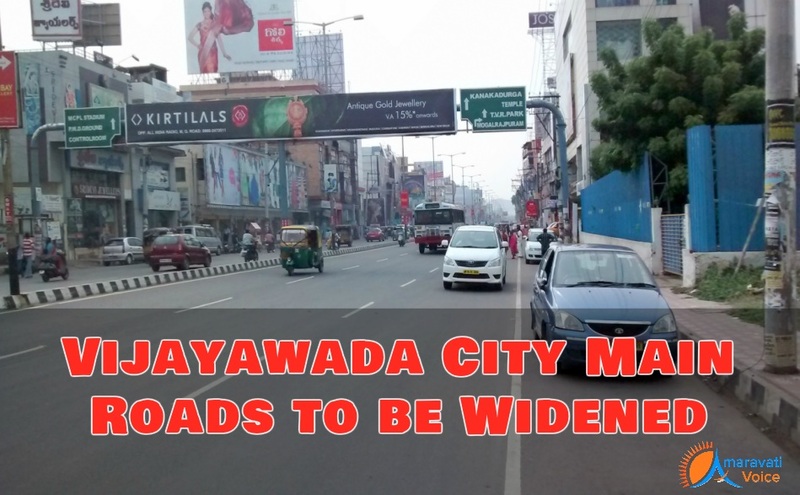 The Vijayawada Municipal Corporation proposed widening and development of 15 main and internal roads at an estimated cost of Rs.18.66 crore in the city to ease traffic problems and complete Kanakadurga flyover works speedily. The VMC officials are going to place the proposals in the corporation’s general body meeting for approval. Already traffic on Hyderabad-Visakhapatnam road was diverted towards Ibrahimpatnam, Nuzvid and Hanuman Junction. The vehicles which seek to enter the city were diverted from Gollapudi to Nainavaram flyover and Inner Ring Road, Ramavarappadu. At the same time, city traffic was diverted towards Nainawaram flyover, Inner Ring Road, Nandamuri Nagar, Singh Nagar flyover, C.K. Reddy Road, B.R.T.S. Road and Ramavarappadu Ring Road. All these diversions have been suggested by the city police officials as Kanakadurga flyover works started. To allow free flow of traffic on these diverted routes, the VMC proposed to widen and develop the following 15 main and internal roads. The officials proposed improvement and widening of Venkateswara Foundry Road at a cost of Rs.40 lakh, Ganapathi Rao Road with Rs.23 lakh, Yerrakatta Road from Chitti Nagar Junction to Frizerpeta ROB junction, Ganapathi Rao Raod with Rs.45lakh, RTC workshop road with Rs.198 lakh, Urmila Subba Rao Nagar Road to Kabela Road junction with Rs.15 lakh, Kabela Road from Urmila Subba Rao Nagar with Rs.60lakh, Joji Nagar Donka Road from Bypass Road junction with Rs.70 lakh, Krambay Road from National Highway 9 to Bypass Road junction with Rs.150 lakh, KT Road from Milk Project to Nehru statue centre with Rs.175 lakh, providing BT with hot mix process to CK Reddy Road from Meesala Raja Rao Bridge to Municipal limits with Rs.80lakh. Apart from that, they also proposed widening and improvement of Nunna Road from Pipula Road Junction to NSC Bose Nagar DP Station with Rs.165 lakh, providing bT. road to Nandamuri Nagar main road from Nunna Road to Inner Ring Road with Rs.140 lakh, BT mix Process to CK CK. Reddy Road from Meesala Rajeswara Rao Bridge to Eluru locks with Rs.80 lakh, RR pet main road from Nuzvid Road to Yerrakattaramp via new RR pet and old RR pet with Rs.310 lakh and Bt hot mix to BRTS Road from Meesala Rajeswara Rao Bridge to Padavala Revu junction with Rs.250 lakh.